Los Guadalupanos of St. Francis Xavier Church helped shape and establish the tradition of honoring the Virigin de Guadalupe in the South Broadway Community. For more than 80 years, a family from the Saint Francis Xavier parish has been asked to erect a shrine in honor of La Virgen de Guadalupe during the month of December -- coinciding with her feast day of Dec. 12. This altar is one of many that are on view throughout the South Broadway Community. The South Broadway Cultural Center and the South Broadway Library are honored to be part of this tradition. We celebrate this tradition with the Los Guadalupanos of St. Francis Xavier Church by selecting a family to erect an altar in the Cultural Center's gallery. 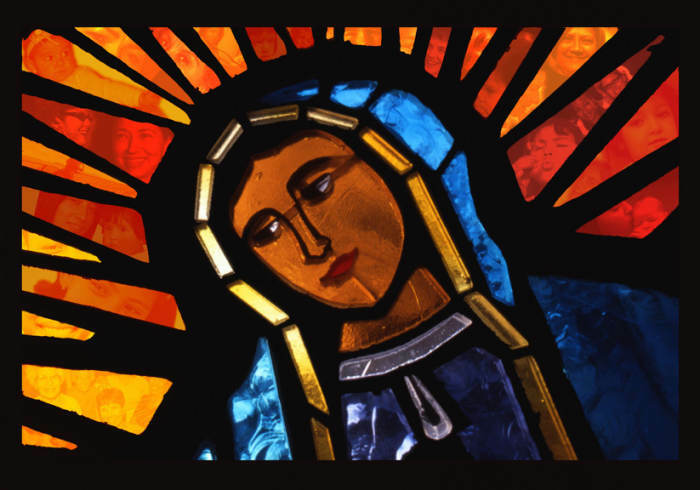 Artists help create traditional retablos and contemporary depictions of La Virgen de Guadalupe. Exhibit runs December 8th thru December 27th.